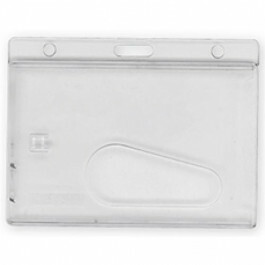 Clear enclosed holder (badge) with thumb slot for standart cards - 30mil. You can choose the type badge you need - horizontal or vertical. Clear enclosed holder with thumb slot, horizontal and vertical.